Pete Evangelista is an Independent Contractor at ERC and is an expert Project, Program, and Portfolio Manager. Pete Evangelista is an expert Project, Program, and Portfolio Manager. He has been managing high impact and high visibility projects for the last twenty-five years. 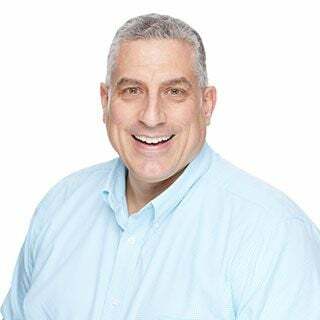 In addition to leading projects, Pete provides leadership in Project/Program/Portfolio Management process improvement, software and toolsets, training, education, and mentoring. His training topics range for PM structure to communications to computer tool training (MS-Project). Training clients include: Sherwin-Williams Corp, J.M. Smucker Co., Eaton Corp, Diebold Corp., Progressive Insurance, University Hospitals, KeyBank, Bendix Corp., Goodyear Corp, Baxter Healthcare, Austin Powder Co., Aclara Corp, Morrison Products, Inc., Crown Cork and Seal, Meyer Products, Preferred Compounding, Schneller LLC, and others. In addition to leading local consulting organizations, he has been a Managing Director at one of the “Big 5” consulting firms. Pete has been a college adjunct faculty member, teaching Project Management at the graduate (MBA) and undergraduate levels. Pete’s students have commented that his style, practical examples and exercises, bring course concepts to life in a way that really sinks in and can be applied immediately after leaving the classroom. Pete runs engaging courses that rely on his understanding of both the structural and human sides of running projects and business operations.